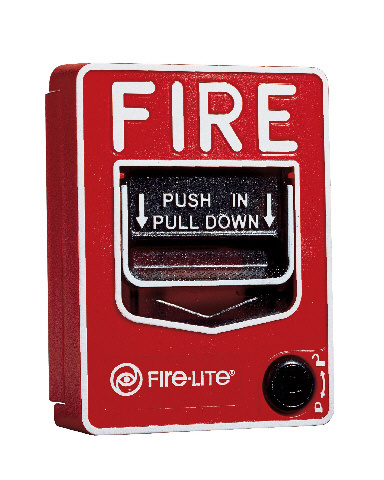 The Fire•Lite Alarms H-355 Series thermal detectors are addressable sensors that use a state-of-the-art thermistor sensing circuit for fast response. 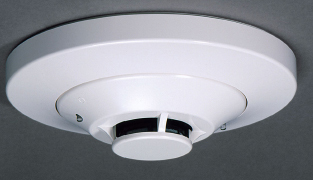 These sensors are designed to provide open-area protection and are intended for use with the Fire•Lite’s addresable Fire Alarm Control Panels (FACPs). The H355(A) and H355R(A) sensors provide fixed temperature alarm detection at 135°F (57°C). The H355R(A) sensor also responds to rate-of-rise conditions of greater than 15°F (8.3°C) per minute. The H355HT(A) is a fixed high-temperature detector that activates at 190°F (88°C). These thermal detectors provide cost effective, addressable property protection in a variety of applications. Two LEDs on each sensor light to provide a local, visible sensor indication. Remote LED annunciator capability is available as an optional accessory (P/N RA400Z). Diameter: 6.1" (15.5 cm) installed in B350LP(A). Weight: 4.8 oz. (137 g). Installation temperature: –4°F to 100°F (–20°C to 38°C). Humidity range: 10% to 93% relative humidity (noncondensing). Voltage range: 15 to 32 VDC peak. every five seconds with LED blink enabled). LED current: 6.5 mA @ 24 VDC. Mounting: B350LP(A) flanged base, included.